Dermal fillers such as Radiesse, Juvederm, Sculptra, Restylane, Belotero, and Revanesse offer natural solutions to help improve facial contours and replace tissue volume lost through the ageing process. Dermal fillers are popular for lifting, augmenting, enhancing and contouring the cheeks, nose, under eyes, jaw line, lips and marionette lines around the mouth. Our facial tissue is wonderfully made; full of muscles, blood vessels, nerves, etc. all of which can certainly be affected through the injections of dermal fillers, so it is MOST important to be treated by an experienced health care professional. 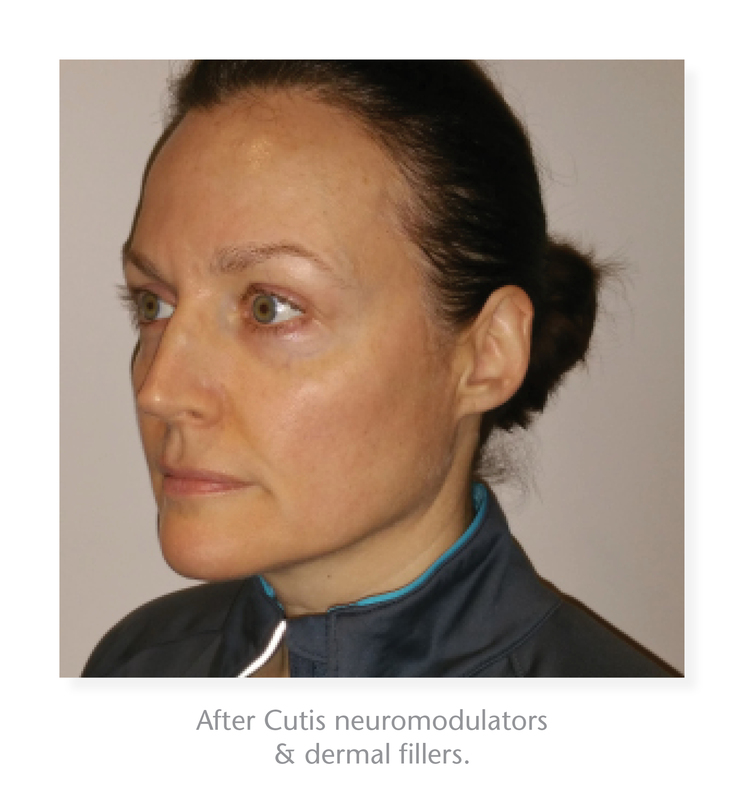 Dermal filler injections at Cutis are provided by Dr. Karen Edstrom, Dermatologist, Dr. Ron Lemckert, Cosmetic Facial Surgeon and Miriam Drummond, RN. It is also important to continue with subsequent treatments at recommended intervals to maintain that “I’m just going to grow old gracefully” look. Receiving dermal filler injections should be a fun procedure, one where the patient is actively participating in how they want to look. The end result is that the patient feels much more confident around their friends and family and in the work place, and are not so obsessed with constantly looking in the mirror at the shadows and indents that just came out of nowhere, and that they’re trying to camouflage with make-up. Life’s too short to be stuck in front of the mirror. Get in to Cutis, so you can get out in the world being all that you can be. A professional consultation will determine which dermal filler is recommended for your desired outcome. Treatments may take 20 to 40 minutes depending on the treatment area(s). Cutis is committed to ensuring your comfort while providing optimal results.Topical anaesthetics may be offered to alleviate the possibility of discomfort. Bruising, tenderness and swelling are possible following dermal filler injections. Dr. Lemckert is an expert in the cannula injection method which helps to reduce the number of injection sites and, therefore, minimizes bruising, swelling and discomfort. While most results are immediate, it can take up to two weeks for full recovery. Results will enhance over 6-8 weeks following treatment as water molecules bind to the dermal filler products. A follow up visit is recommended to ensure your satisfaction. JUVÉDERM®, Revanesse®, Restylane and Belotero treatments are hyaluronic acid-based dermal fillers which restore volume to the face and soften lines and wrinkles. Hyaluronic acid is a sugar found naturally in the body. Results of dermal filler treatments can last for a year or more. Sculptra® is a Poly L Lactic Acid filler which targets the loss of facial collagen. Unlike hyaluronic-acid fillers, Sculptra® stimulates natural collagen synthesis which helps to reduces the depth of wrinkles. Expertly provided Sculptra® treatments can result in a natural and refreshed appearance. Sculptra® lasts for up to two years in the skin, at which point it is gradually metabolised by the body. RADIESSE® Volumizing Filler is a gel and calcium-based microsphere treatment that upon injection can immediately provide the volume and lift to restore a rejuvenated appearance to the skin. RADIESSE® acts as a scaffold under the skin, stimulating and providing a structure where the skin's natural collagen can grow. 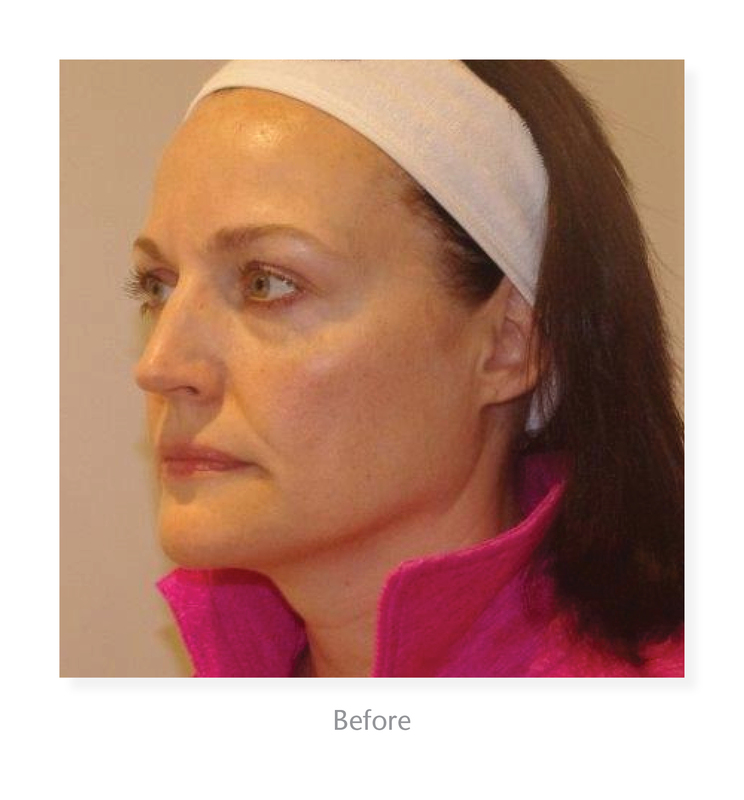 This process continues for several months beyond the initial effect of RADIESSE®. The natural-looking results can last a year or more.